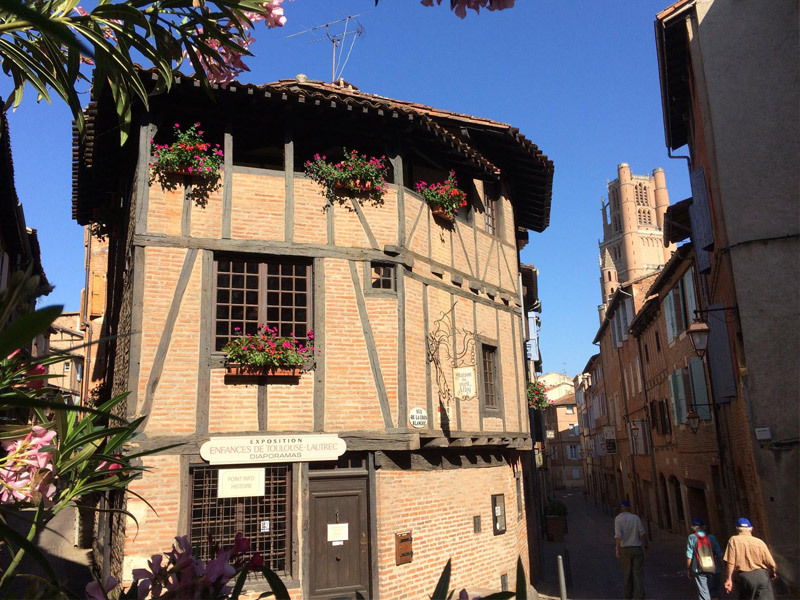 The Old Alby house is the soul of the Episcopal City, one of the major symbols of Albi’s historic centre. The ‘Albi Heritage’ association keeps the history of this iconic site alive. An unmissable memory of your holiday in Albi, the photo of the Old Alby House will be a highlight in your album! It is one of the most beautiful houses in the historic centre. Choose your angle well, you can include the imposing bell tower of the Saint Cecilia’s Cathedral in the background. This brick and timber framed house has retained the characteristics of an old medieval house of the historic centre: half-timbering, corbelling to gain more surface area, and an open-air attic called ‘the soleilhou’ (pronounced "the solayoo"...). It appears on a bend of the discovery tour, at the heart of intertwining narrow streets, with the backdrop of the omnipresent cathedral. The ground floor is reminiscent of old stalls and a staircase leads to the upper floors, where there is a permanent exhibition on the youth of the Albi painter, Henri de Toulouse-Lautrec. The Berbie Palace houses the collections of this world-famous painter. The second floor is a video room dedicated to temporary exhibitions. The ‘Albi Heritage’ association has a history information point open to the public. This site has retained is charm despite major renovation works in 1971. This district from the 12th century owes its survival to work by ‘The Association for the Safeguarding of Old Alby’ which saved it from demolition. It’s work is to retain and pass on memories.